By constructing a golden statue of Madiba at the Union Buildings, the South African government will be honoring their former President Nelson Mandela. This is being implemented as a part of marking the 100th anniversary of this most iconic structure in the nation’s capital city of Pretoria. Paul Mashatile, Minister of Arts and Culture made the announcement at the New Age/SABC business briefing in Sandton. He said that work is at an advanced stage to construct a statute of Tata Madiba at the Union Buildings as part of its 100th anniversary celebrations this year. Over the past week, there was good news that former President Nelson Mandela, the founding father of South Africa, was discharged from hospital. Mashatile said that they are taking this opportunity to wish Tata Madiba well as he recovers at home. He emphasized that even in sickness, Tata Madiba continues to unite the country and remains an enjoining symbol of South Africa’s democracy and freedom. The Union Buildings' 100th anniversary celebrations are approved by the Cabinet earlier this year. The celebrations will be held in December under a theme that promotes social reconciliation, cohesion and national unity. Housing the Presidency offices and forming a part of the official seat of the South African government, The Union Buildings are the imposing buildings located in Arcadia, Pretoria. Sir Herbert Baker designed them in 1908. The building started in 1909 and was completed by 1913. Approximately 1,265 laborers, artisans and workmen worked for almost 3 years to construct the building. 14 million bricks were used for the interior office walls and 74,000 cubic yards of concrete, 500,000 cubic feet of freestone, 20,000 cubic feet of granite and 40,000 bags of cement were used in total. 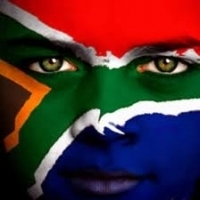 For more information on South Africa follow us Facebook.